Responsible for building and grounds upkeep and provides assistance to staff and visitors. The maintenance technician must be a well-rounded individual able to perform on a variety of equipment units, conduct building maintenance, and assist with basic grounds keeping. EXPERIENCE: A minimum of one year performing building cleaning and maintenance work, and or equivalent combination of training and experience. Performs work according to New-York Historical’s standard operating procedures in conjunction with building's operational schedule. Maintains clean facilities including, hallways, stairways, restrooms, locker rooms, offices, and windows. Responsible for vacuuming, mopping, surface cleaning and dusting, and bathroom services. Performs general sweeping, scrubbing, and mopping of hardwood floors, laminate, strip, hardwood and tiled floors. Uses vacuum cleaners to clean rugs, carpets, upholstered furniture, and blinds. Maintains and upkeeps all cleaning equipment, supplies, and products, including replenishing restroom supplies. Uses hand tools and power tools in making minor maintenance repairs and maintaining grounds and walks. Performs routine electrical repairs such as changing light bulbs, fluorescent lamps, and assists in repairing ballasts and light fixtures. Responsible for reading, understanding, and managing set-up memos shared by various departments throughout the museum; responsible for set up and break down of events throughout the building. Provides assistance to officials, staff, visitors, and other employees as necessary. Conducts walk-through inspections at beginning and end of shifts. Participates in building back-up coverage that may require working evenings and Saturday rotation as needed. Provides daily reports of work accomplished to supervisor. Other duties responsibilities and duties as required. Work involves moderate to heavy work in all types of weather. There is frequent need to stand, stoop, walk, and lift heavy objects (up to 50 pounds) and perform other similar actions during the course of the workday. Please reference the job title in the subject line. 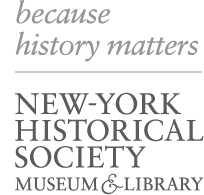 The New-York Historical Society is an Equal Opportunity Employer.